By 2050, the world’s population is estimated to grow to 10 billion. To feed everyone, we will have to double our food production, to produce more food in the next 40 years than in the whole of the last 6,000. Changing the Food Game shows how our unsustainable food production system cannot support this growth. 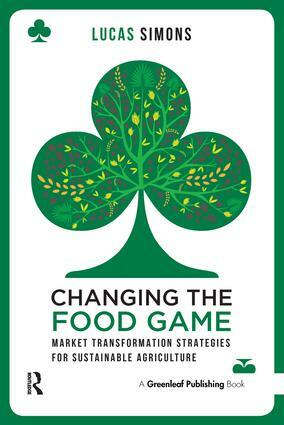 In this prescient book, Lucas Simons argues that the biggest challenge for our generation can only be solved by effective market transformation to achieve sustainable agriculture and food production. Lucas Simons explains clearly how we have created a production and trading system that is inherently unsustainable. But he also demonstrates that we have reason to be hopeful – from a sustainability race in the cocoa industry to examples of market transformation taking place in palm oil, timber, and sugarcane production. He also poses the question: where next? Part 1: What is the problem? 4. Why do agricultural markets fail? Part 2: What is the solution? 6. How does market transformation start?